Day in the Life | What Homeschooling is REALLY LIKE! Watch this video and spend the day with us! See what home education in the UK really looks like for Our Muslim homeschool! Home education simply means to educate your children outside of the mainstream school system. What that looks like for each family is different but for us, as it does for many others, it involves plenty of time outside, sports and activities with friends and formal studies at home. To get a better idea of what Homeschooling looks like for us, Watch this YouTube video! This video and blog-post was sponsored by WordUnited, who kindly sent me their Arabic and Phonics programs, and compensated me for my time. This blog-post also contains affiliate links. See Disclaimer for more information. 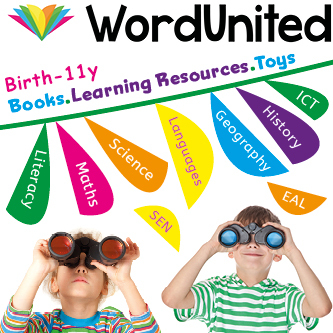 WordUnited is an incredible website that stocks hundreds of high-quality educational resources for children aged 0-13. They have everything you can imagine on that site, from beautiful baby toys, resources for literacy, numeracy, science, special needs and even multicultural toys section! With hundreds of new products being added every week, WordUnited is set to become the next big thing! WordUnited kindly sent me two sets of books to review; the “Let’s Read” program, which teaching children the foundations of phonics, and the “Let’s Read Arabic” program which teaches children how to read Arabic words. Each set consists of eight books. As your child progresses through the program, they gradually increase in complexity and build upon lessons learnt in previous books. I love visual cues under each word to highlight the different sounds! The books are small and easy for young hands to hold, as well as colourful and engaging to to children. They illustrations feature realistic high-quality images of objects that children will be familiar with in their lives. I really appreciate how the creators of these books have used visual cues to highlight the individual sounds that make up each word. These books are ideal for home educators are they include parent guidance at the beginning of each book. This is really important to read as it clearly explains what is being covered and how to use that particular book effectively. I love it when a curriculum make it simple for parents! The books can be purchased individually, or as a complete set. To see my children using the books, WATCH THIS VIDEO. Make sure you also visit their Amazing Website. You will be blown-away by the variety of products they have on offer! CLICK HERE for the “Let’s Read Arabic!” 8-book set. CLICK HERE for the “Let’s Read!” 8-book phonics set. If you are interested in seeing what homeschool curricula we are using with our children CLICK HERE! Thank you so much for stopping by and taking the time to watch our YouTube video. I hope it’s left you feeling inspired and given you something to think about. 1 Comment on Day in the Life | What Homeschooling is REALLY LIKE!